Coolest Family on the Block and JennRian.com (formerly “I Make Myself the Queen”). I am a SAHM to 2 children: a girl (08-2009), a boy (02-2012), and a dog (male Maltese-Bichon 04-2004). I am located in Beaver County PA in the greater Pittsburgh area. And that’s all that I’m going to tell you…stalker. Click below to email me! PLEASE SCROLL DOWN, IMPORTANT INFO BELOW THE FORM! *My response may take weeks. *I do not currently work with brands or sponsors. 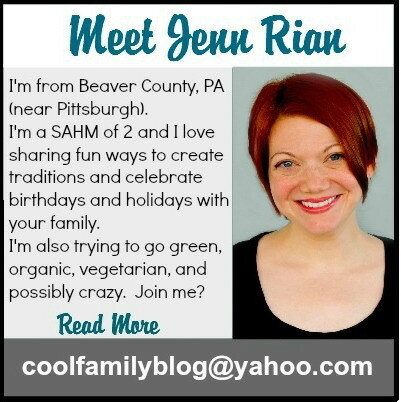 IF you are interested in working with me it will need to be through JennRian.com and NOT Coolest Family on the Block. If you are contacting me about a potential Guest Post on my blog please be sure to read my Guest Bloggers page before contacting me. Emails not following the Guest Post Submission Guidelines will be ignored. I am not currently accepting guest post submissions. All requests/submissions will be ignored. I saw your post on Baby Center’s July 2010 board and visited your website for the first time. I really like it! I just started blogging in April and I love it… I have a dozen posts stored and waiting to be published because I don’t want to be a dork that publishes more than once a day! I blog about activities I do with my 10 month old and my 3 year old (including some specific learning activities for literacy, science, etc. 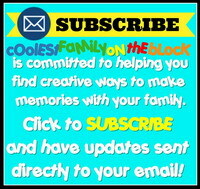 ), crafts, recipes, funny kid stuff, and a yearlong ABC project I did with my son and plan on doing with my daughter when she gets older. I’m also a Christian mommy. I would love to get more hits on my blog and would also be interested in guest blogging for you. If you take a peek at my site and see something you like, let me know! This could be great! Amanda, I stopped by your blog and it’s great! I’d say just about everything you’ve posted would be an example of an appropriate guest post for my blog! I can only use original content that hasn’t been published yet (Google frowns upon duplicate content. ), so email me your ideas or a draft for a guest post and we’ll get something started. My guest post guidelines are here and suggested topics are here. My readers will love your blog! Hello.. Coming by via Voiceboks and I am wondering whether you are interested in writing some paid reviews on parenting? Please contact me if you do… thanks! I tried to message you on Facebook, but you may be set to only receive messages from friends. Send me an email at jennifer@listplanit.com for instructions to review our 100 Days to Christmas 2011 eBook, if you are still interested.